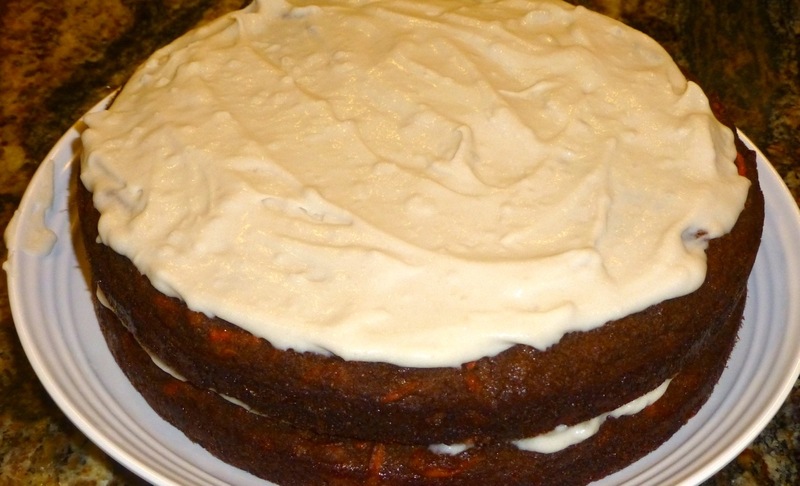 My husband recently had a birthday so my son made him his favorite cake — carrot cake. Well, it was a paleo carrot cake but did taste very much like “regular” carrot cake without being too dense. The cake is sweetened with pure maple syrup which is okay to have on a paleo diet. I especially liked the vanilla cream frosting because it wasn’t too sweet like cream cheese frosting normally is. This frosting is made with coconut milk and honey but didn’t taste like coconut to me. The cake tastes really good served warm also. I have to admit that I had my doubts about whether this cake would be edible but it was very very good.